There are often questions regarding how to properly transplant trees. 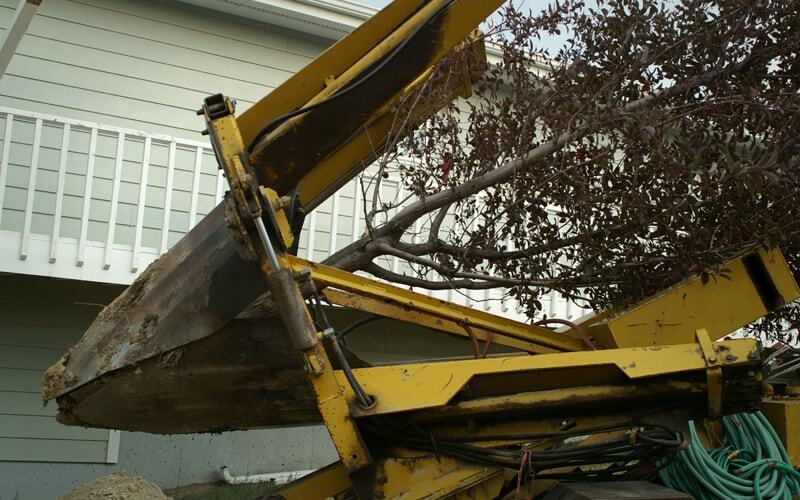 In this article we’ll answer some of common questions related to tree transplanting. Should trees be lifted by the trunk when planting? Trees should never be lifted by the trunks during transport or planting. Lifting by the trunk places the weight of the entire tree on the trunk. This sometimes leads to wounding or girdling of the trunk. Lifting by the trunk can also cause unseen damage to the tree’s cambium, signs of which may not be visible for some time after transplanting. Trees should always be carried or lifted by the root ball. How big should the planting hole be? The wider the planting hole the greater an area of disturbed soil for new roots to grow into. It is especially important in compacted soils to dig out an area as wide as possible (3 times the width of the root ball) around the root ball. One of the most common errors in planting trees is planting too deep. It is very important that the tree be planted even with the ground level or slightly higher. In sites with a high water table or compacted soil it is safer to plant the tree slightly above grade and then raise the soil level around the tree by bringing loose soil up to the edge of the root ball. Should you add soil amendments to the planting hole? According to the best information available, it is not necessary to incorporate amendments such as gels, polymers, mycorrhizae fungi, or other powders into the backfill when planting a tree. The best backfill in most situations is loosened original soil from the planting hole. Should you stake the trees after planting? Anchor staking should be done only when necessary and in most instances should be removed within a year after transplanting. Trees with root balls which are light in weight often need to be staked to ensure they are anchored in the soil and will not blow over on a windy day. Field-grown trees rarely need staking due to their deep and heavy root balls, which securely anchor them in the ground. If you’re looking for quality nursery products please take a look at our large selection of nursery supplies.